A place to dip my toe in the poetry pond. I started a new blog to save all my poetry and poetry lessons. I will still use teachingyoungwriters.blogspot.com for all other things writing when it comes to young children, but it was time to get a space for my own words. Glad you stopped by. 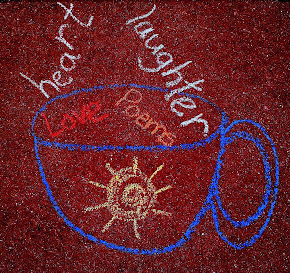 Poetry Friday is hosted by Jama at Jama's Alphabet Soup! Hey! Congrats on the new blog! How wonderful to have a spot dedicated to your poetry! I've subscribed!! PS -- perfect blog title, too!! Letters do have a tendency to scatter apart. Nicely done! Go notice your life and write about it.